An insurance claim is basically a formal request to an insurance company asking for payment based on the terms of the insurance policy. If you have an auto insurance claim, please see our page on auto accident lawyers. Although many insurance claims can be simple, you run the risks of dealing with an unreasonable claims adjuster. In some cases, you may want to enlist the legal assistance of a personal injury lawyer. If you receive a phone call from another person’s insurance company inquiring about your injuries, it is best to give limited personal information and to resist any pressure to settle your claim immediately. Be sure to take notes on any important information from the call and ideally follow up with an experienced insurance claim attorney. 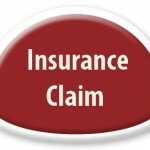 Contact LegalHelpLawyers.com today to obtain legal aid with an insurance claim!